Hurricane Irma has caused damage to South Florida on a scale rarely seen before. Insurance claims are being filed in record numbers. The Orlando Sentinel reports that 562,262 claims - totaling an estimated $3.6 billion - had been filed as of September 23rd. Floridians are tenaciously taking on the task of cleaning up and rebuilding their lives. There are many different types of insurers who may be contractually obligated to reimburse you for your losses caused by Hurricane Irma. 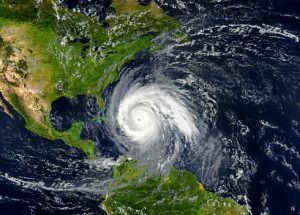 Auto insurance carriers must reimburse owners for damages caused to their vehicles by the hurricane. Homeowners' insurers must reimburse for both structural damage and damage to personal items on the property which were covered by the homeowner's insurance policy. Renter's insurance policies will generally cover damaged items left on the rental premises during the storm. Umbrella policies cover a wide variety of losses, and they can be used to cover other hurricane-related losses which were not covered by another insurance policy. Health insurance policies are almost always obligated to cover injuries sustained during a natural disaster. And finally, in the tragic case in which a life was lost during the storm, life insurance policies are obligated to provide coverage to surviving beneficiaries. So how does a policyholder go about obtaining their insurance funds? First, he or she must file a claim with the insurer. Many policies contain deadlines for filing claims, so it is important to file a claim as soon as possible. The insurance carrier will then collect any necessary documentation and conduct any investigation needed to confirm the loss and determine the value of the damaged property. These valuations are then used to make a settlement offer to the policyholder. In some cases, this is a simple matter of taking pictures of a damages vehicle and determining its Kelley Blue Book value. In other cases, the valuation can be a complex aggregation of different components. A large homeowner's claim, for example, could provide for structural damage, damage to personal property in the house, and damage to surrounding land or outbuildings. Because such valuations can be difficult to determine with accuracy, it is important to understand how the insurance company came to its valuations in making a settlement offer. A policyholder is not obligated to accept the settlement offer made by the insurance company. The carrier's valuations can be challenged, and the settlement offer can be negotiated until the parties arrive at a fair value that adequately compensates the policyholder for his or her losses. Insurance companies have a contractual obligation to negotiate in good faith, and provide just compensation for losses covered by the applicable policy. When they fail to do so, policyholders have the legal right to sue the insurance carrier to enforce their contractual rights. Florida Statute 624.155 allows a right of action for first party claims of bad faith insurance. An experienced Bradenton personal injury attorney can help you receive full and fair compensation for all your hurricane-related losses. Whether you are making a claim through your auto insurance, homeowner's insurance, renter's insurance, umbrella or any other policy, it is important to make sure you are receiving a fair settlement for losses covered by your insurance contract.